2011 April — Dayna Macy, author of "Ravenous"
I love Ravenous, my imperfectly perfect creation. What is imperfect is obvious — to me anyway. I wish I’d had had time to live in my thinner body so I could write more about it. Because it is really interesting. What is perfect, and surprising, are the lessons my book continues to teach me. If you had asked me before the book was out what the most important thing I wanted for my book, I would have said reaching people. Then I would have silently thought — a LOT of people. I want my book to sell because sales reflect my worth as a writer. She then told me she’s lost nine pounds, grabbed my hand and thanked me. At my reading at Book Passage in the Ferry Building in SF last month, Ron, the store manager, got up to introduce me. He said that the best memoirs are those that help us reflect on our families and our lives, and then proceeded to read a few pages from my chapter on a Passover seder. Ron is in his sixties and is Asian, and as he began to read, he began to cry, because my words moved him. Turns out he’s a commercial pilot and flies into SF often. He wanted to meet me for lunch. There was nothing salacious in his offer, just that he loved my book. So we had lunch. “You so brave to write a book,” he told me. “You’re so brave to fly a plane,” I told him. We both left our lunch feeling happy. Ravenous has not only brought me these experiences, it’s brought me insight. Like how I might have worked through overeating, but transferred my hunger to buying things — like shoes or clothes. Ravenous has inspired me to look at what it really means to be free — not just with food, but with life. How I sometimes create cages because obstacles are familiar and I like knocking them down like some stubborn mule. Maybe this yearning to be free is what we, in our deepest selves, really yearn for. And maybe this yearning for true freedom will finally persuade me to stop checking my Amazon rankings. My compadres and I had a fine evening at the Commonwealth Club last week. Davina Baum of Chow moderated and asked us thoughtful questions like “When writing memoir, whose story is it to tell?” Which led us to an interested and lively discussion of how do you choose what stories to tell, and what ends up on the cutting room floor? What were your families’ reactions? Why do you write and why memoir? 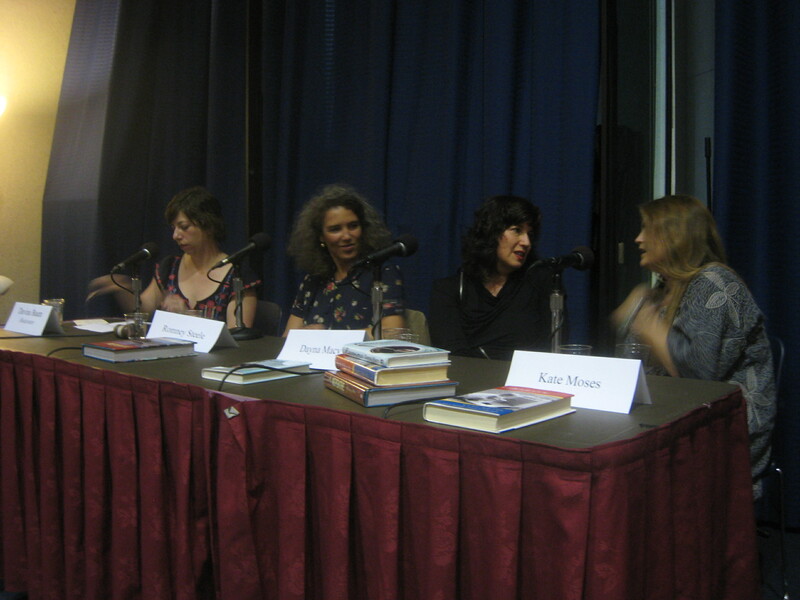 Here is a picture from the panel. From left to right is Davina, Romney Steele, author of “My Nepenthe,” me, and Kate Moses, author of Cakewalk.